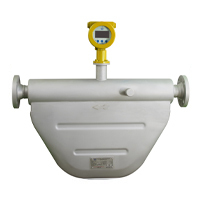 GPE Model F1001 series Coriolis Mass Flowmeters are a major advance in mass flow measurement. Coriolis Mass Flowmeters provides outstanding accuracy and repeatability which made it as a standard for variety of industry applications. Our technology emphasized on reliability and accuracy of the product. By optimizing manufacturing process, our products can offer you excellent experience of measurements.